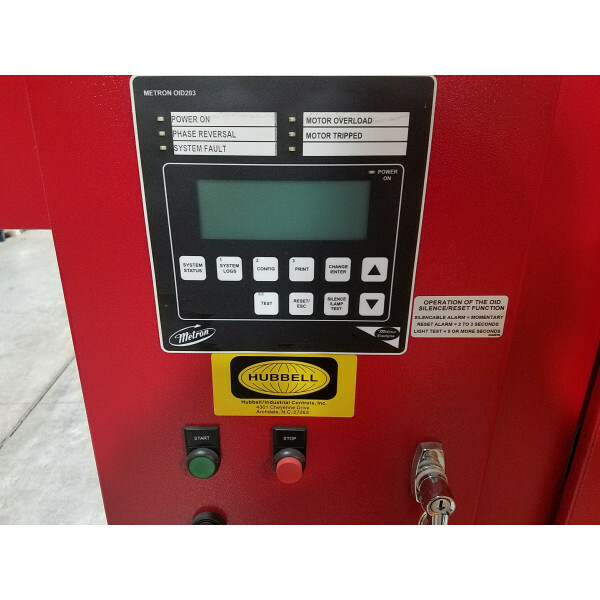 Green Industrial purchased this late model, medium voltage fire pump motor starter/controller from a project that was never completed. This controller is as the factory delivered it. 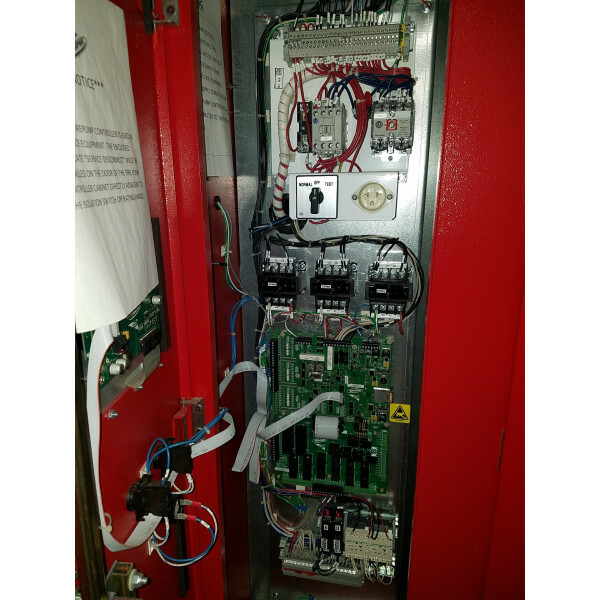 This fire pump controller contains an Allen Bradley Cat# 1503F-E4GCD electric motor starter assembly with an Allen Bradley vacuum contactor Cat# 1502-V4DBDA-1. 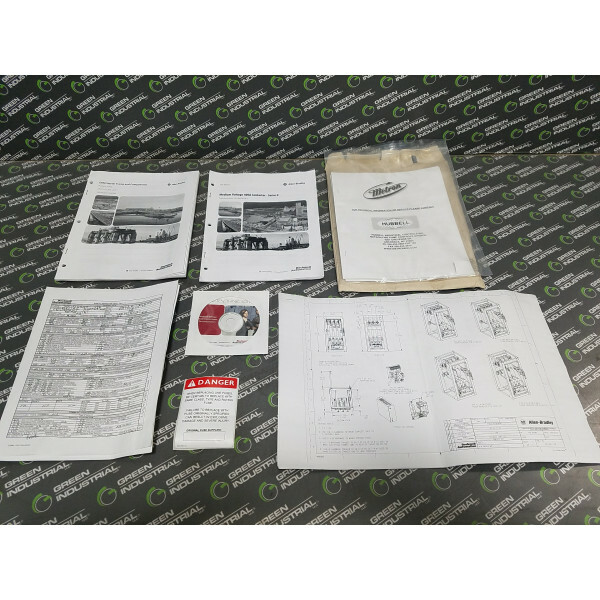 You can pull the Allen Bradley starter and use it in any application as needed or use the complete unit as intended! New, never energized and ready to go to work! 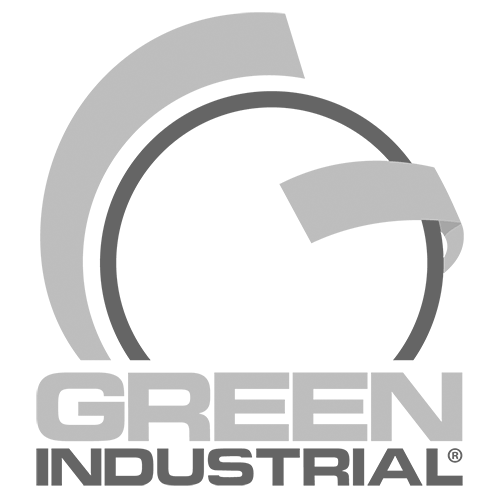 Save thousands and buy NEW SURPLUS from Green Industrial today! 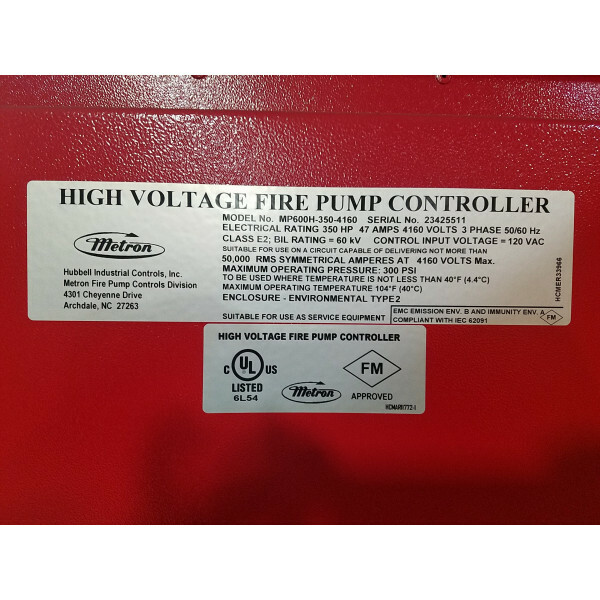 The Metron Series MP600 High Voltage Fire Pump Controllers are a modular concept system, which utilize “state-of-the-art” vacuum bottle technology. 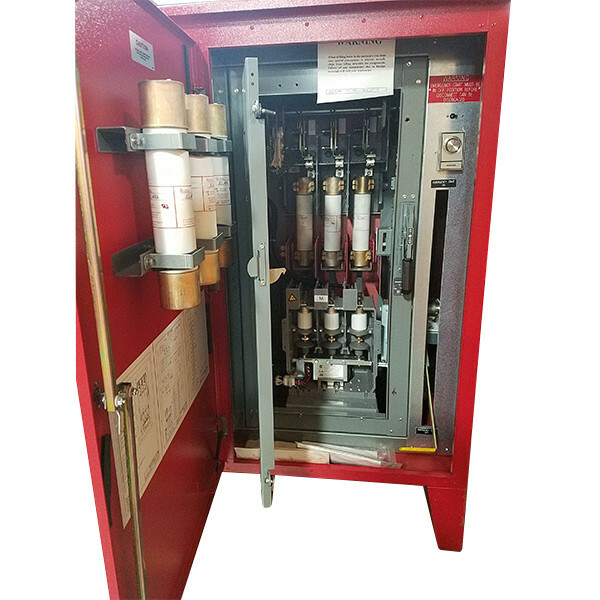 The primary control element in the MP600 is a fixed mount style vacuum bottle contactor with isolating disconnect switch. Integral to the disconnect switch are “R” rated current limiting cartridge style fuses. Space is provided for storage of three spare fuses on the rear of the outer door. Two fused potential/control transformers (PTs) are also contained within the cabinet. 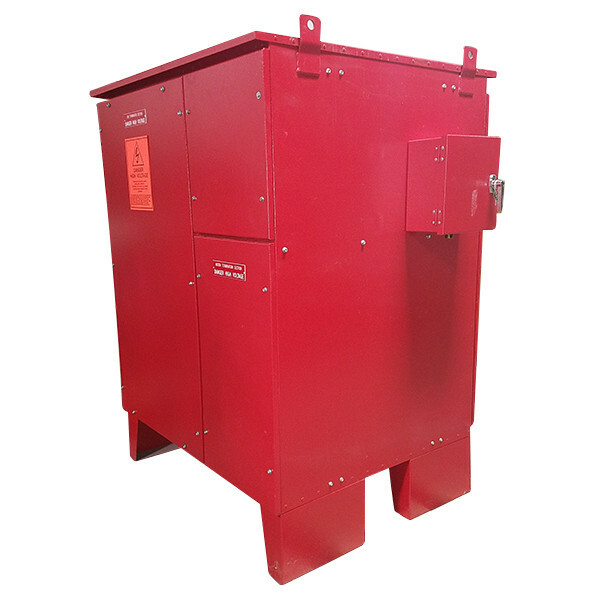 These transformers provide both input signals to the monitor circuits as well as control power for the MP600. For testing purposes, it is possible to supply 120VAC power directly to the control section through a built-in test receptacle and test switch. The MP600 has both front and rear access. Front access is for easy access to the control circuits. Rear access is provided for termination of the incoming power and termination of the motor connections. Incoming power and motor connections enter through the bottom of the controller enclosure. 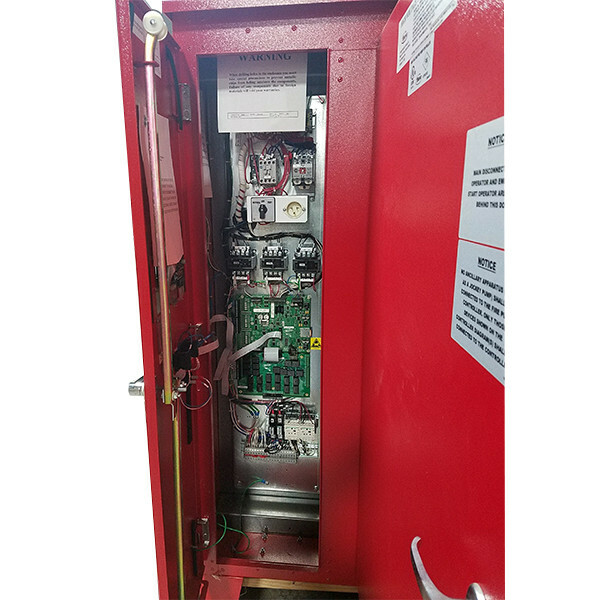 Locked rotor motor protection is provided by the microprocessor control unit per the requirements of NFPA 20, Chapter 10.The microprocessor control unit also provides contacts for remote alarm of phase reversal, low voltage, single phase, loss of voltage, motor tripped, and motor overload. The Operator Interface Device (OID) has LED lamps for Power On, Power Failure, System Failure, Motor Overload, and Motor Tripped. 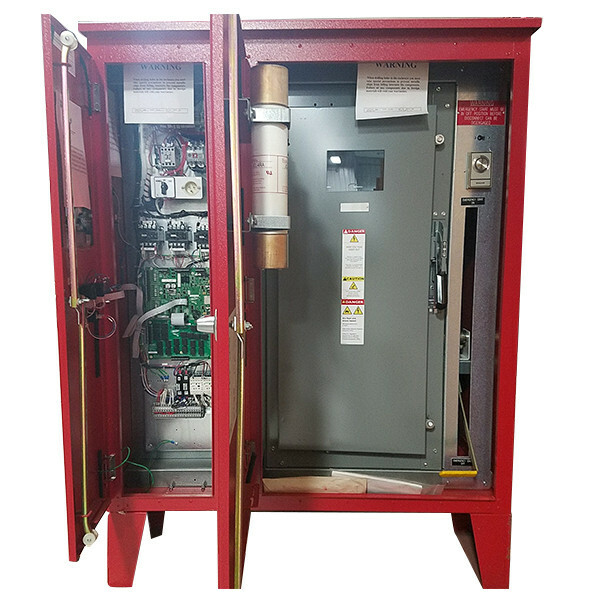 The OID also displays three phase voltage and current along with system water pressure.The standard MP600 is supplied in a NEMA type 2 enclosure which is fabricated from 12 gauge steel. Minimum floor clearance of 12 inches (304.8 mm) is provided with allowances for floor anchoring. 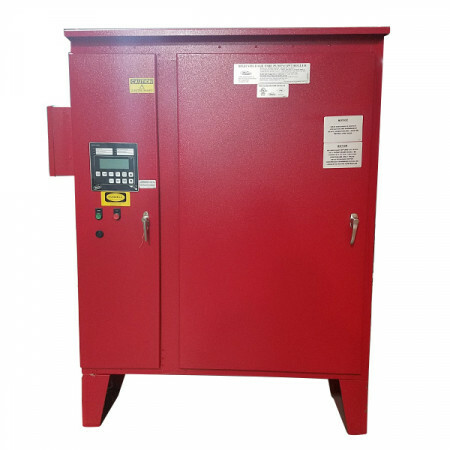 The MP600 is protected with two hinged removable, gasketed doors, equipped with a 3-point latch, one door for the control section and one door for the high voltage section. 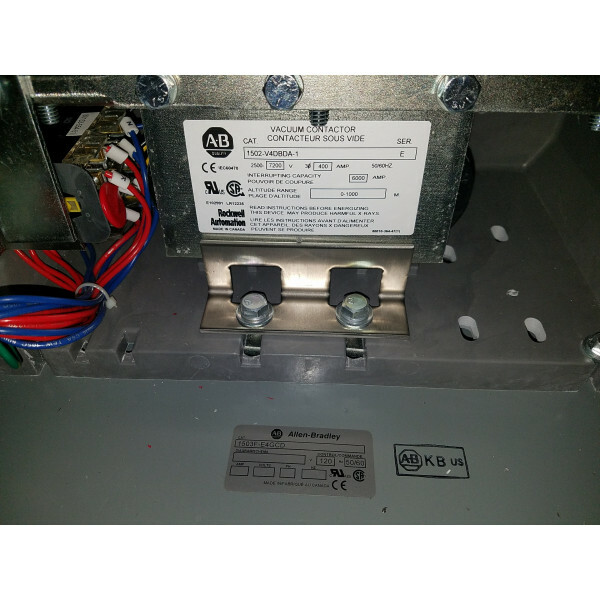 Access to the vacuum contactor is provided by a lockable and interlocked second door, which requires the contactor to be disengaged from the bus prior to opening the door. 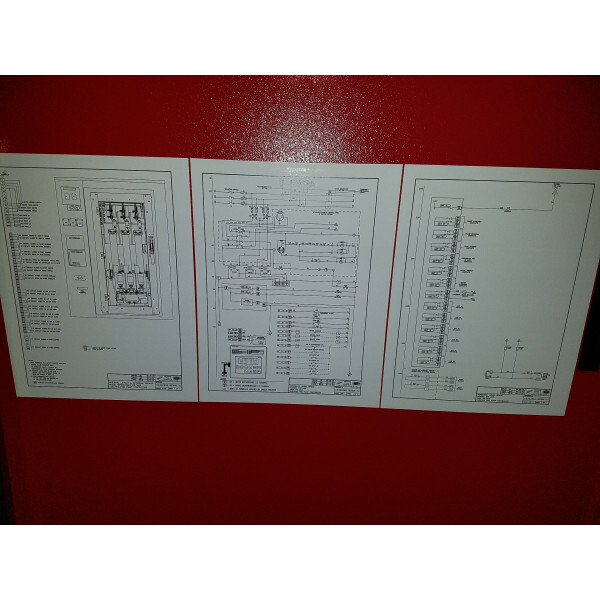 Control wiring and components are accessible behind their own access door. Access to control components does not require motor de-energization. 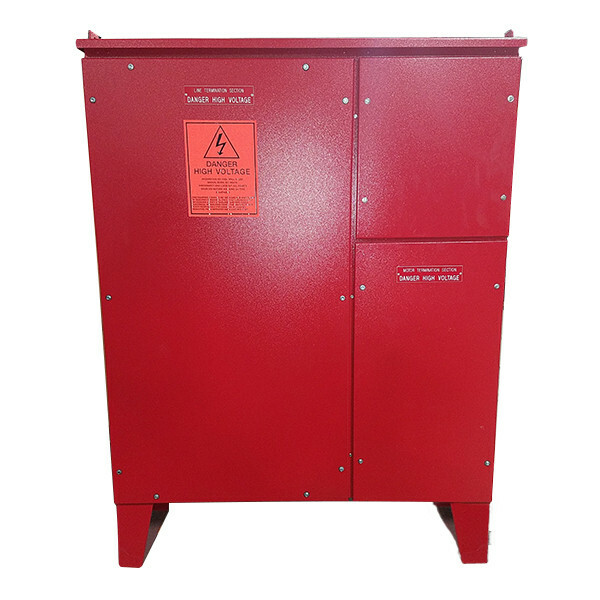 A solid copper ground bus is provided through the incoming high voltage and motor termination compartments.